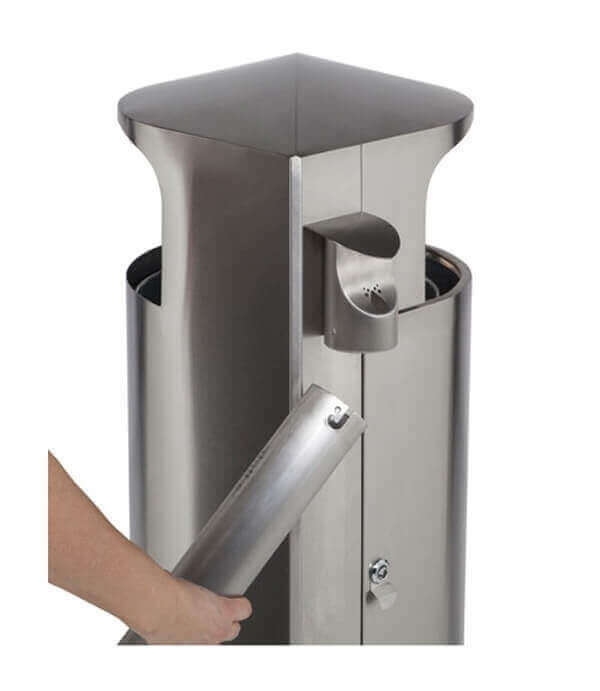 20 Gallon Leafview Commercial Stainless Steel Trash Receptacle with Attached Cigarette Snuffer - 45 lbs. 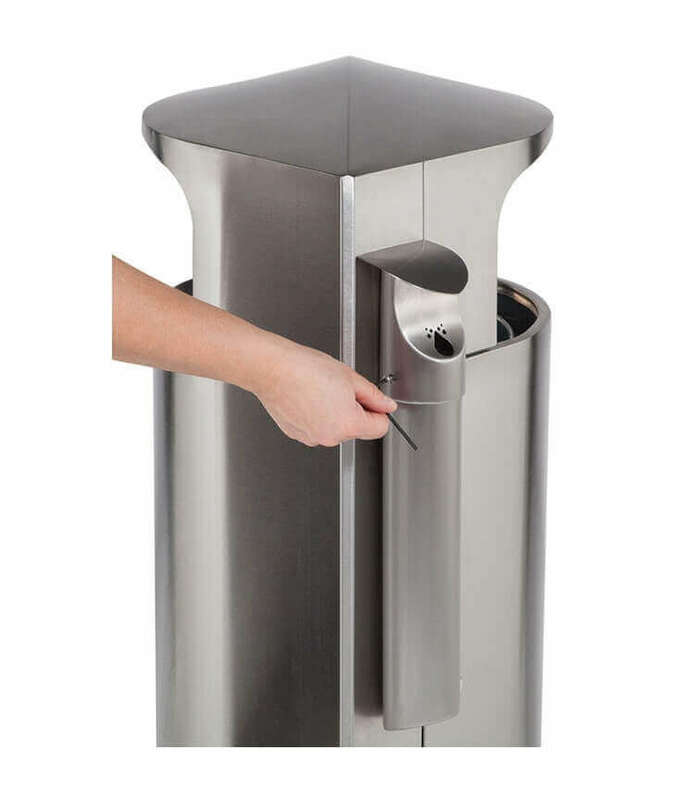 Our 20-gallon Leafview commercial stainless steel trash receptacle with attached cigarette snuffer features a 10" wide by 7" high opening on either side to provide easy waste disposal. 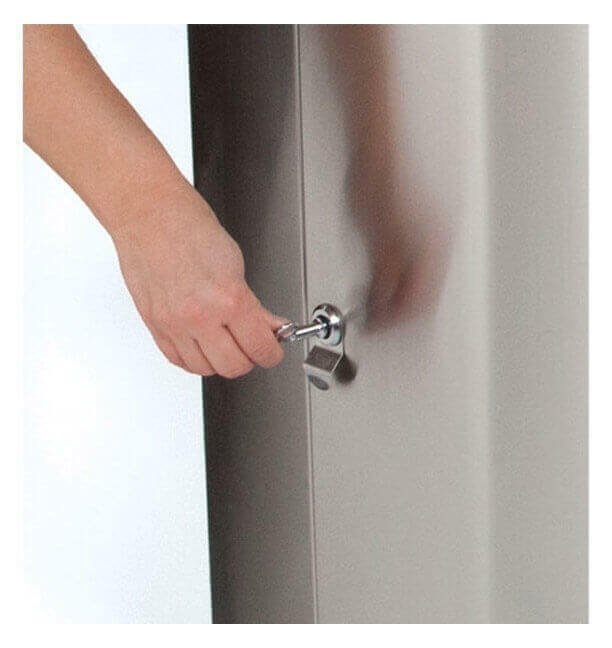 Crafted out of strong heavy gauge 304-grade recycled stainless steel, this beautiful low-maintenance receptacle will resist the elements without rusting. Attached to the side is a stainless steel cigarette snuffer featuring a hex key lock and "J" channel to keep the base attached and protected from theft. A rubber base ring has been fitted to the bottom of the unit to keep it in place, while also protecting the floor from damage. Contains the patented Grab Bag system, which holds the trash bag in place to the liner. 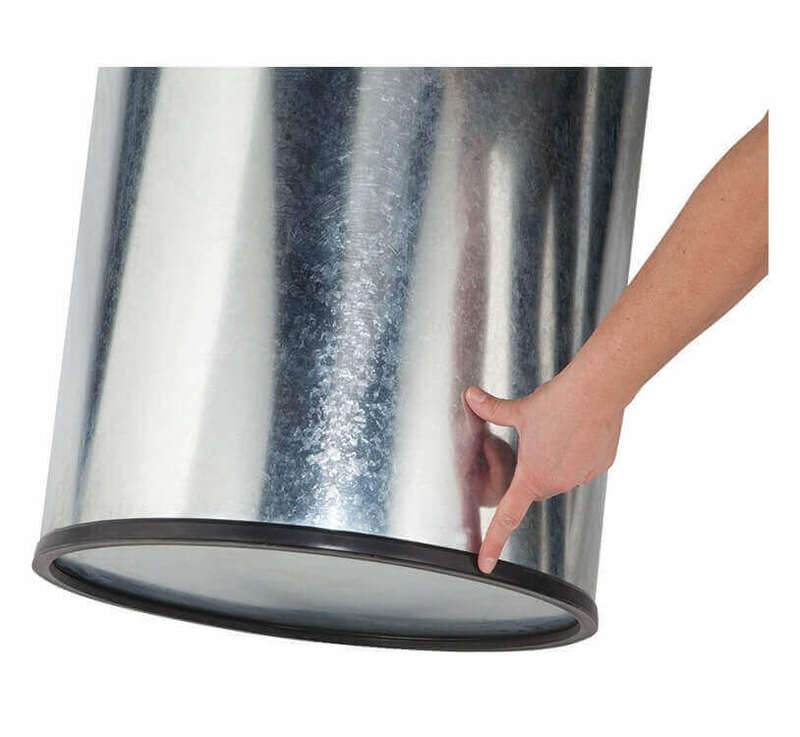 Includes a galvanized liner with handles to make trash removal as stress-free as possible. This unit is secured by a locking door protecting the liner and contents, along with bolt-down hardware for a surface mount option. 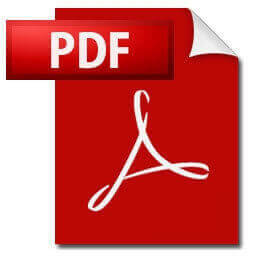 One key is included, however, duplicates can be ordered for a small upcharge. Extra room on the inside cavity has been added to store extra trash bags from convenient changes. This receptacle will provide many years of faithful service both for in and outdoor use. 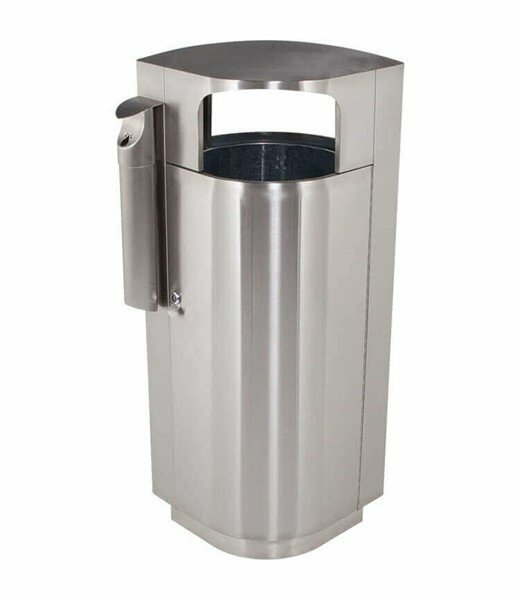 • Dimension: L 16" x W 16" x H 34"
20 Gallon Leafview Commercial Stainless Steel Trash Receptacle - 41 lbs. 42 Gallon Stone Tec Recycling Commercial Square Plastic Trash Receptacle with Dome Lid - 65 lbs. 5 Ft. Skyline Wooden Backless Bench with Stainless Steel Frame - 35 Lbs.